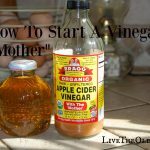 Preserving your bounty that you’ve worked so hard for is part of the challenge of growing your own food. We were blessed with three mature pear trees on our property so in years that we have plentiful fruits, we become consumed with preserving as much as we can while they are producing. We don’t always have plentiful years as late spring frosts, which are common to our area, periodically get the budding pear flowers. This year has been very mild and extra rainy, so our pear, apple and grape harvest has been very good. 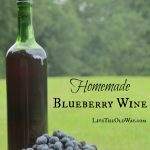 Excess fruit can be preserved as Jelly, Jam, Fruit Butters, Wine, Cider, Vinegar and also preserved by Dehydration. Dehydrated fruit stores well, makes excellent snacks, and can also be reconstituted by simmering in a little water and then made into bread, cakes, pies, etc. 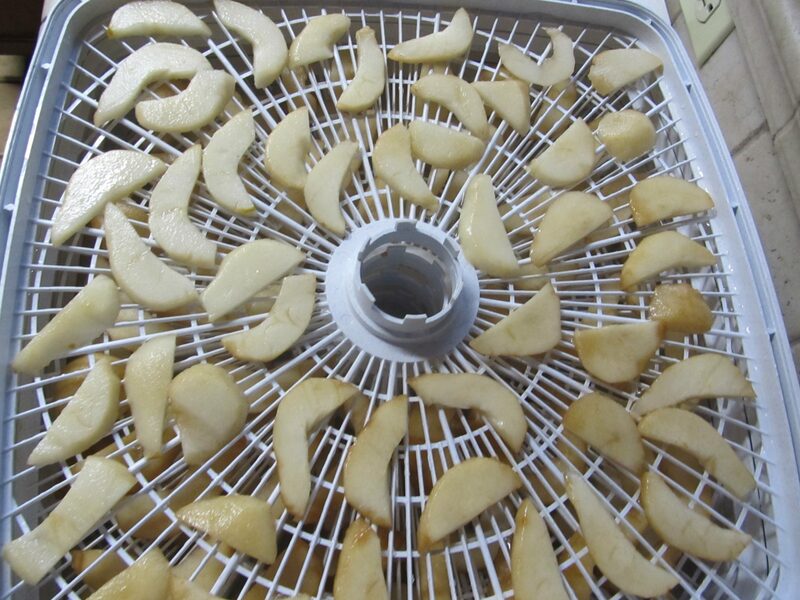 Dehydrating is easy and can be done on a screen frame outside in the sun, or in an electric dehydrator. 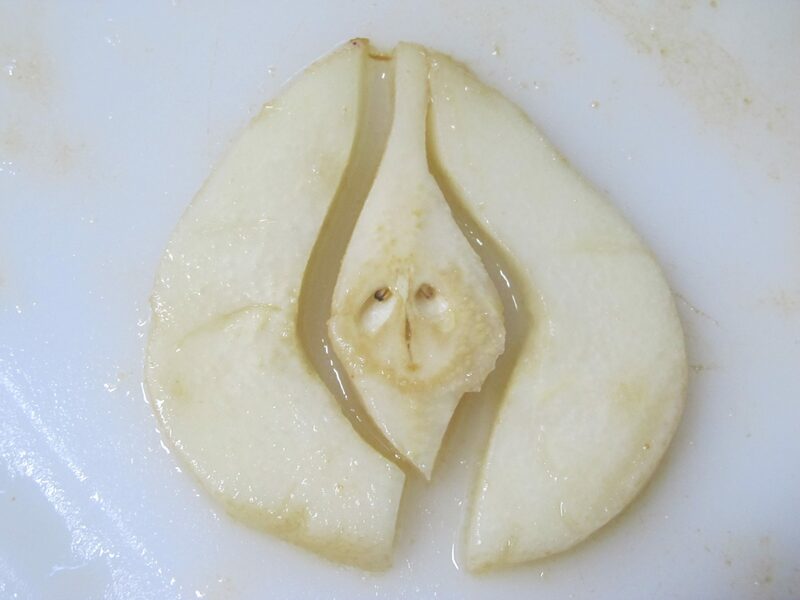 Of all the fruit, pears are our favorite for this because of their flavor. Many, many, many years ago I remember “helping” my Grandfather lay out sliced apples on an old drying frame that he had built and assembled between the garden and his workshop. In hindsight, I wonder why he didn’t put it closer to the house and how he kept animals from raiding it. I had thought I had a picture of it, but only find the one below that would have been taken several months after the apples were harvested and dried. The screen sat on the grassy area. Good memories. 3. 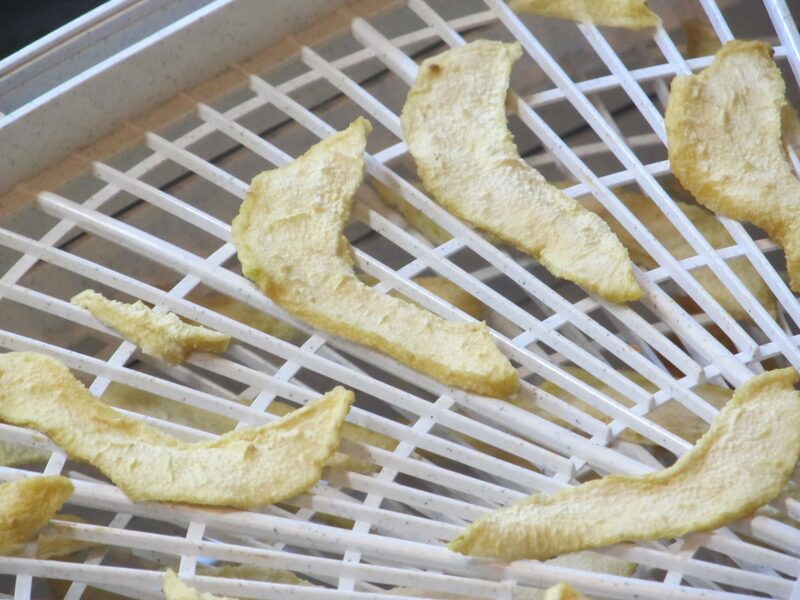 Arrange slices on the dehydrator trays and set the temperature for about 135 degrees. That’s all there is too it. No preservatives, no sugar or ascorbic acid wash. Just fruit. 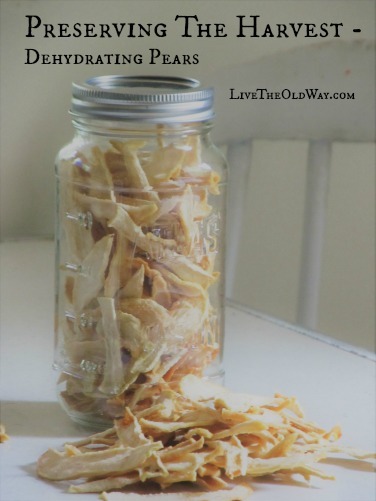 Remove the dehydrator lid, let the fruit cool and store in lidded mason jars or ziploc bags. Out of direct heat and sunlight, it will keep for a long, long time. 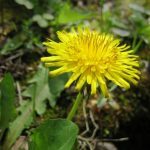 If you’re looking for a good book with simple, preservative free techniques, check out Michelle Keough’s book, Dehydrating at Home: Getting the Best from Your Dehydrator, from Fruit Leather to Meat Jerkies . It’s reasonably priced and includes everything from fruit to veggies to meat.